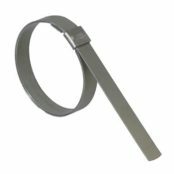 Cable cleats are used to fix, clamp and support cables – cleats provide effective short circuit protection, support and retention to LV, MV and HV power cable systems when installed at intervals to circuits to secure electrical installations. 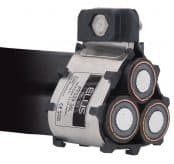 The cable cleats provide restraint and prevent excessive cable movement resultant from fault-current magnetic forces – cleats must be suitably rated for cable size (outside diameter) and anticipated fault current (peak fault level kA). 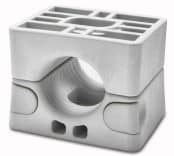 Correctly specified cable cleats will withstand the forces corresponding to the values of the peak prospective short-circuit current. 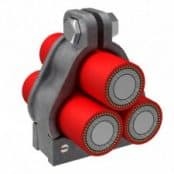 Power cable system designers, engineers and specifiers must consider the correct cable fixing or securing system to provide safe and adequate restraint and protection of LV, MV or HV cables – cable cleats restrain movement of cables during electrical fault conditions. Cable cleats are available to suit all environmental conditions (onshore and offshore), industrial applications and operating voltages – specialist cable fixings for fire resistant, low smoke zero halogen (LSF LSOH) and quadrafoil (Quad) cable installations. “Every conductor or cable shall have adequate strength, and be so installed as to withstand the electromagnetic forces that may be caused by nay current, including fault current.” IET Wiring Regulations 17th Edition BS7671:2008 (2011). 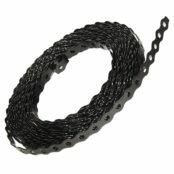 Cable Diameter – the overall diameter of the LV-HV cable ensure the correct size of cleat is chosen. 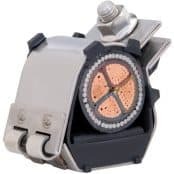 This dimension, namely the outside cable diameter around the cable sheath, is also required for calculating short circuit forces the cleat could potentially be subject to under fault conditions. Cable Type – check cable voltage and construction: LV Low Voltage, MV Medium Voltage or HV High Voltage. 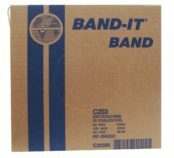 Other factors include cable type, ratings, power system design, cable management/containment structure and installation environment – complete ranges of single cable cleats, trefoil cable cleats, quad cleats or bespoke engineered and designed to specific application requirement. 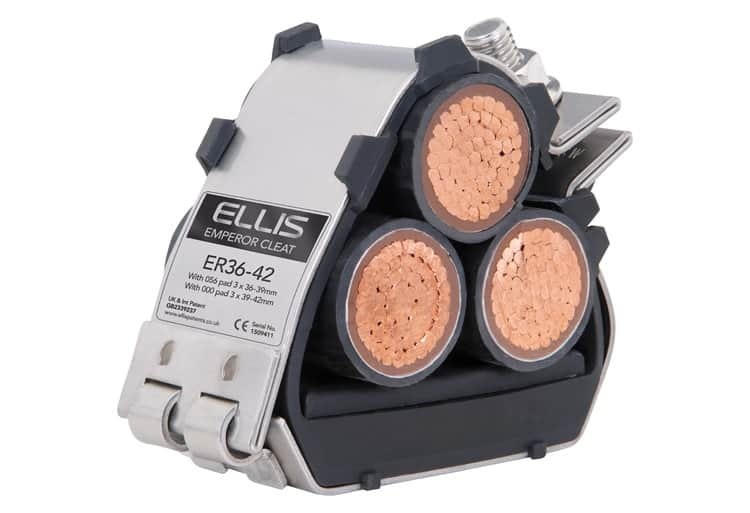 The following Video clearly demonstrates Ellis Emperor Cable Cleats clamping single core cables in trefoil arrangement being subjected to a short circuit fault condition with 118kA peak – the slow motion replay highlights the extreme physical force and strength generated by the short circuit as the cable cleats effectively restrain the power cables to the containment. 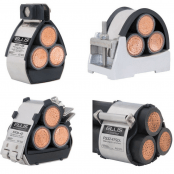 Cable cleats provide effective cable management of low, medium and high voltage power cables requiring short circuit protection. 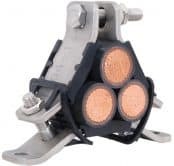 ➡ View below our complete range of Cable Cleats used to clamp and retain low, medium and high voltage cables in the event of a short circuit, including 11kV/33kV MV-HV power cables – single, trefoil, quadrofoil and multiple bundled cable configurations can be cleated using Ellis Patents and Prysmian manufactured cable cleats in a choice of materials including nylon, stainless steel and aluminium. Cable arrangements for 3 phase installations utilising single conductor cables are typically flat spaced, flat touching or trefoil. In the UK the 17th Edition Wiring Regulations (BS7671) provides current ratings and voltage drop values for all these cable configurations – information is also available on grouping factors and spacing between circuits to achieve thermal independence. Power systems with increased anticipated short circuit levels also expose installed cables to elevated temperatures (conductors can reach up to 250°C) – the high temperature leads to a softening of the cable insulation and outer cable sheath jacket exposing the cable to potential damage by the cleat. 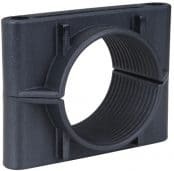 To counteract this cable cleats are available with polymeric liners. Single core cables, operating at low, medium or high voltage, expand and contract under thermal cycling at higher levels than multicore cables – if the cable is constrained considerable forces can be transferred to the supporting structure. 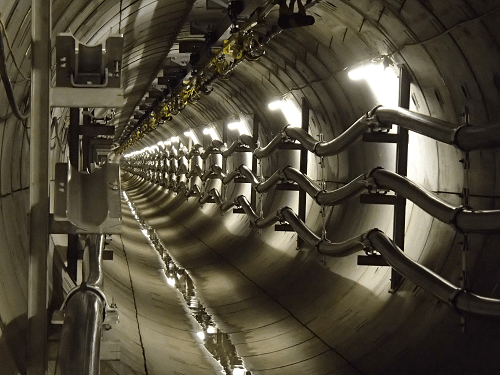 To allow for this, single core cables are generally “snaked” allowing slight loops to accept the cable expansion and contractor. 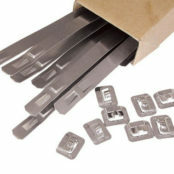 It is also usual to allow some of the cable cleats to move freely and not restrain all cable cleats. 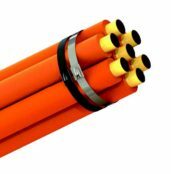 The cable liner surrounds are used to protect medium/high voltage power cables typically supplying electricity at 11kV – the cable cleat liners are surrounded as standard in a LSF Zero Halogen polymeric materials. 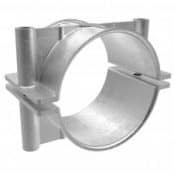 The trefoil or Triplex surrounds are used with single cable cleats to secure Triplex cables (three single core cables spirally twisted together), overcoming the twist in the cable to be cleated at any point along the installed length. 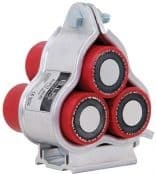 Without cable surrounds the installation of cable cleats would be difficult due to the relative position of the Triplex cable being subject to variation along the cable run – here the inner liner is applied around the Triplex cables and then a standard cable cleat has been used. 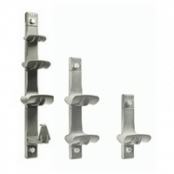 Note either polymeric or stainless steel cable cleats can be used depending on the short circuit ratings of the cable system. 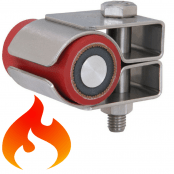 Specialist application cable cleats are available from stock for high performance cable applications including fire resistant, low smoke zero halogen/LSF, flame retardant and with specific end-user UK DNO utility approvals for medium/high voltage power cable cleating applications such as Triplex cables. 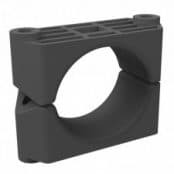 Also Network Rail and LUL London Underground approved cable cleats for clamping rail power, S&T cables at station, sub-surface and tunnel applications. 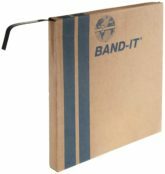 Plastic or stainless steel cable ties will not provide required short circuit support to cables as evidenced by the comparison testing below where cables are subject to a fault current when secured using both cable cleats and ties – cleats are designed to support cables and specified according to IEC61914 to prevent excessive cable movement under short circuit conditions. 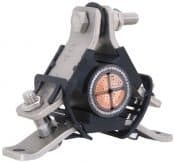 Cable cleats are generally fastened around cables by a threaded bolt and nut – the higher the torque when closing this fixing, the tighter the cable cleats grip to the cable. A tight grip of the cleat around the cable can be advantageous when considering axial slippage, but care needs to be taken as over-tightening cleats can lead to damage to both the outer sheath jacket and construction of the cable. As a rule of thumb only, cleat fixings should be tightened until the cleat is tight around the cable without any gaps between the liner of the cleat and the cable, and with no visible damage or bulging to the outer jacket. T&D can provide specific torque recommendations for all types of cable cleats. 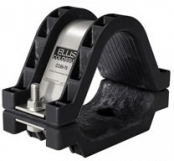 Cable cleats are subject to short circuit testing to the international standard IEC 61914 to ensure that the cleat can withstand a specific set of cable fault conditions expressed as peak short-circuit current. Cleats are tested in an independent and accredited laboratory and certified accordingly. 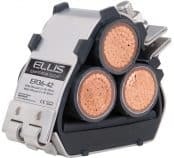 By ensuring cables are fixed, retained and supported correctly by using cable cleats ensures the MV HV cable terminations are also protected – cleats reduce the mechanical load exerted on cable glands and terminations. For instance, cable lugs used with terminations and separable connectors should not support the weight of the cable. 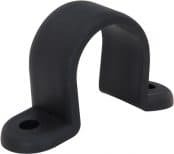 Without cable support there is excessive bending force on the MV HV bushings of medium/high voltage electrical equipment including switchgear and transformers – without cable cleat support the MV-HV cable could be physically pulled from the cable lugs or connectors. 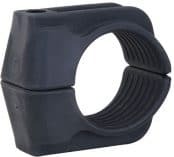 High voltage cable cleats are used to secure 11kV/33kV and 66kV/132kV cables to cable containment in substations, tunnels and electric power transmission and distribution systems. 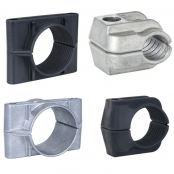 As leading distributors of cable cleats, Thorne & Derrick can provide expert advice and customer support on the suitability of particular cleats within any type of cable installation. 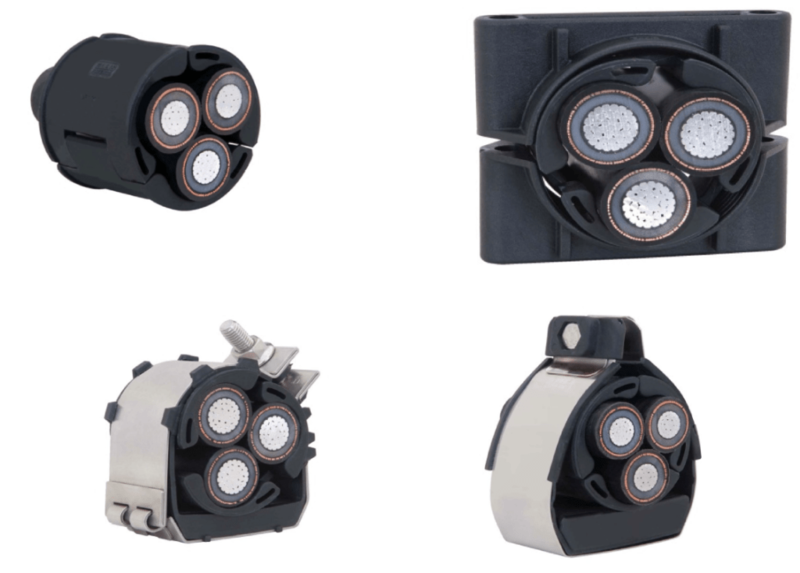 T&D also distribute a complete range of MV-HV Cable Accessories and Electrical Equipment to support the installation of medium/voltage cables including 11kV/33kV and 66kV/132kV networks.